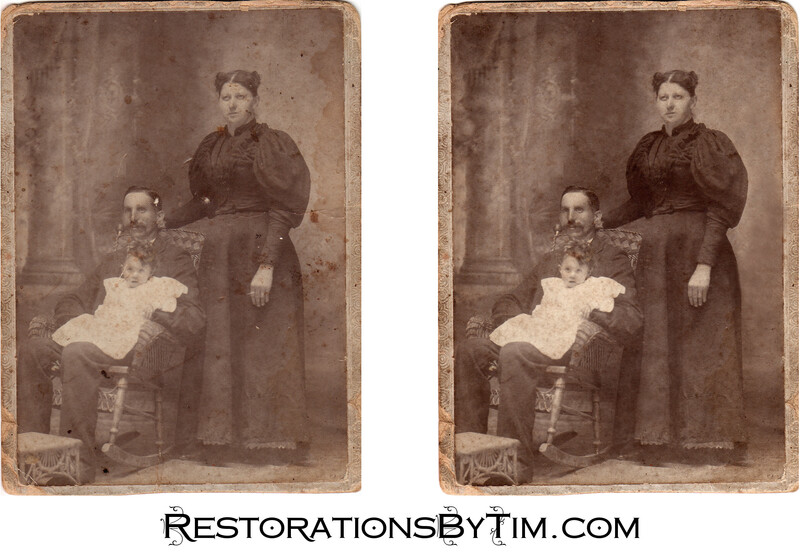 Moderate Restoration: Many minor blemishes | Photo Restorations by Tim G.
These repairs were not very painstaking, but the sheer number of them made for a time-consuming request. The most difficult part of this request, of all things, was restoring the footstool at lower left. Removing a crease across the woman’s waist and blending out the water damage also required additional care. I also added some contrast.